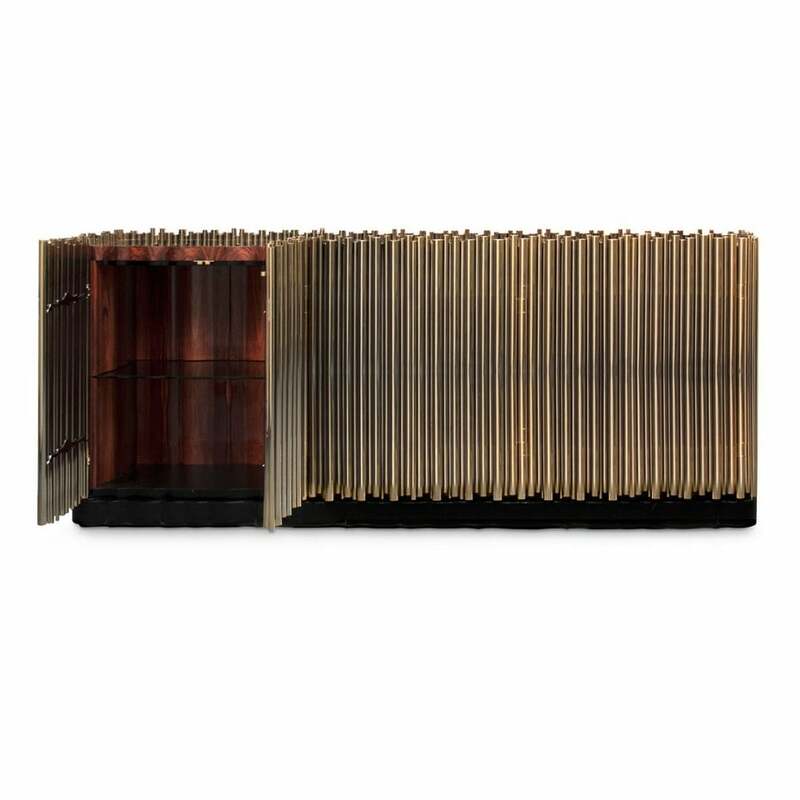 As seen in the Fifty Shades of Grey movie, this emotionally evocative sideboard is passionately inspired by music. A cluster of polished brass tubes envelope an exotic wood structure, creating a harmonious artful juxtaposition to rhythm of the pipes. Rosewood veneer black lacquered, gold plated brass and glass.